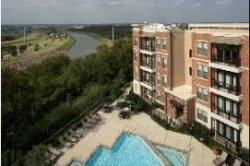 Apartments near Hotels Free Apartment Locator! All you do is the pick the city, call or complete our information form to get started. Finding your apartment is as easy as 1-2-3! Moving to one our cities is fast, free and easy. Save on the cost of expensive hotels and your time to find the apartment matched to your needs. Sure you can go online and fine lots of "choices". Renter beware and you the parent, as well. Why - does the online site give you all the details or is it simply trying to have you complete a rental application to tie you to the community. Why - does the community offer a fair roommate agreement allowing roommates to leave? Why- does the guaranty agreement promise to apply to all renters and renewals as well. Well, let's just say, do not take the first choice you can on-line without learning the details. Why have a locator work through the details with your family? Because we have over 50 years of experience. At Apartment Selector we find apartments based on your needs, not based on online traps. We introduce you to properties that you want. We let your hoices early in the renting process. So you are informed and make financial decisions good for you. So the Renter does not have to beware. Employees on the Move! Relocating or just moveing up. We find apartemnts matched to your budget! A tradition of great apartment locating! Apartment Selector® offers the nation's largest personalized service with an on-line selection of apartment communities. We originated the rental referral industry in 1959 and strive to offer the very best in personal service. Since 1959, we have helped over 3 million renters in their housing search. We save you time and money by finding vacancies matched to your needs, price range and lifestyle. We look forward to helping you find your new rental home. We make it fast, free and easy to move! Other ways to help your narrow down your apartment location and needs! Equal Housing And Lending Opportunity Statement Copyright 2015 Apartment Selector Last Modified:. All rights reserved. Apartment Selector service mark is owned by Ozark Corporation.